When Abby Lee and Matt Kay welcomed their new addition to the family, the proud parents wanted to capture the moment with a photo shoot. 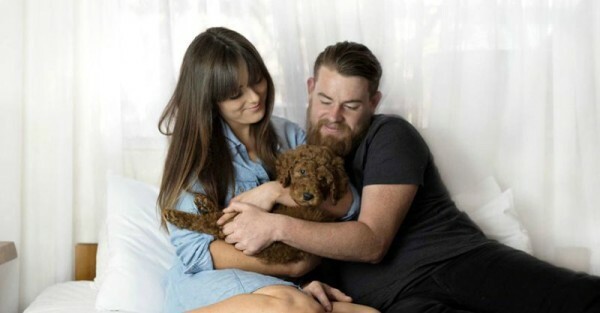 The only difference between these photos and the ones all new parents have hanging up in their lounge rooms? Abby and Matt’s “baby”, Humphrey, has four legs. Any couple who feels the pressure to start breeding from friends and family members, take notes! This is certainly one way to silence the in-laws once and for all. 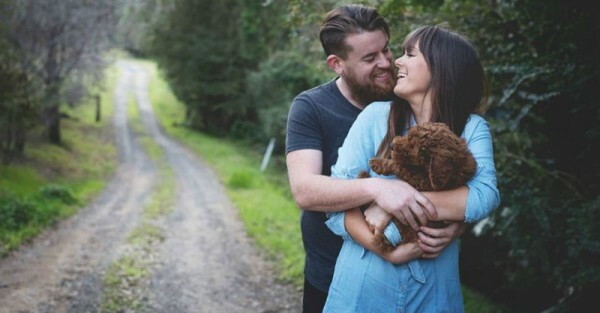 Like many childless couples, Abby and Matt – who hail from the NSW Central Coast – got sick of people asking them when they were going to have a baby. 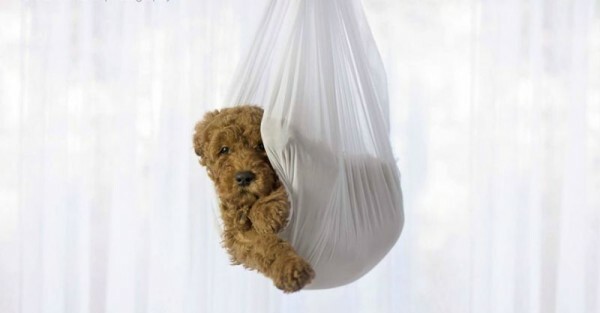 So with the help of their talented friend and photographer, Elisha Minnette, they staged the ultimate newborn photo shoot that not only introduced their new bundle of fur to friends and family, but hopefully also stopped pushy relatives from clucking for grandbabies. 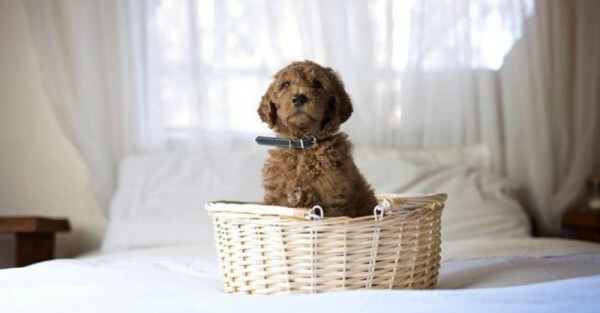 Humphrey, a poodle cross golden retriever (groodle), entered the world via a surrogate but was quickly adopted by Abby and Matt with open arms. The photo shoot was designed to give the three friends a laugh. They figured it would be the “perfect response” to relatives asking when the couple were planning on having children. However, what started as a bit of fun has became a viral sensation after Elisha posted the photos on her Facebook page. One look at these playful photos, it’s easy to see why both parents and non-parents love them! She amusingly captures all the classic images including the newborn swaddle shot, the happy couple with the natural backdrop portrait and the baby in the basket pose. Our absolute favourite has to be the black and white three-in-the bed shot. What parent doesn’t have this one hanging up on the wall? 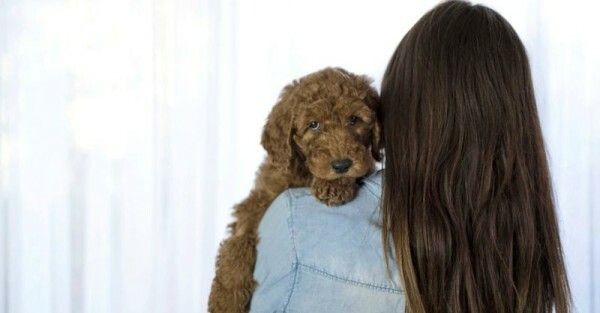 According to Elisha, little Humphrey was the perfect model for his debut photo shoot. 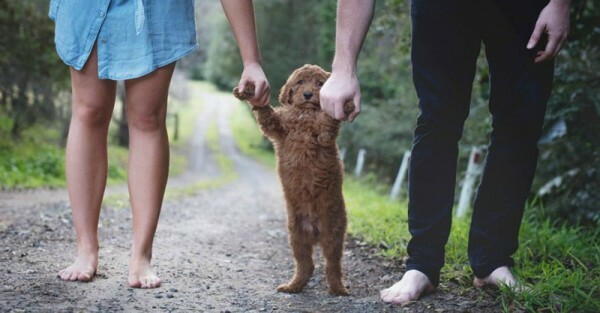 The clever photos have brought new found fame to this adorable little puppy, the proud parents and the talented photographer who has certainly started a trend in animal photography. 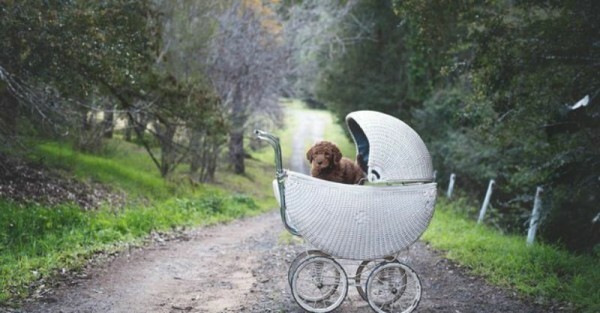 Surprisingly, Elisha tells Babyology that she has not had too many requests for a similar shoot. “But I have had a lot of wedding enquiries which I am happy about,” she adds. Congratulations to Abby and Matt on your adorable new addition. He is pawsitively perfect. We cannot wait to see his first birthday cake smash shoot! 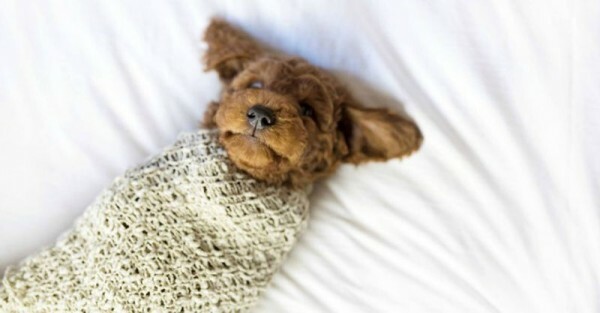 Make sure you check out some of our other animal photography gems including the baby and puppy who share a birthday and the napping toddler, puppy and baby trio.